Reverse digital search warrants are where law enforcement request wide sweeping data of cell phone location information within a crime perimeter at a certain time. They are doing this to look at the digital data to try and determine a suspect. Some are concerned about the privacy rights of those innocent people that may be in the general area around the time of a crime. I give you my analysis on this and also a full rundown of my trip to Sydney, Australia and the start of a mini love of affair of the country. 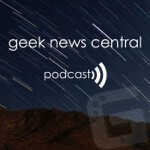 The post Reverse Digital Search Warrants #1348 appeared first on Geek News Central.